An innovative dementia program for health professionals has been described as a “game changer” by a Tasmanian GP. The Dementia Care Training and Education Program was developed by General Practice Training Tasmania to help health professionals recognise, diagnose, manage and support dementia patients. Dr Janaka Somarathna from the Exeter Medical Centre said the online program had been a big help in adding to his knowledge about dementia. “Early diagnosis will make a big difference in the care of patients and carers. This training was a game changer for me and I can now offer better care for my patients and their families,” Dr Somarathna said. “In the very early stages we can talk to the patient and their family and that can make a big difference. 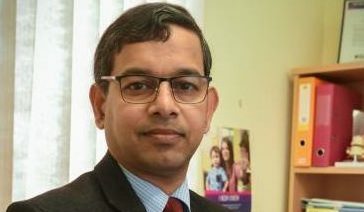 Dr Somarathna said he saw up to five patients a week with dementia and believed it was better to keep them in their own homes for as long as possible. “If people with dementia go into a nursing home, they need to take part in social events and outings and have visits from family members who they often recognise,” he said. General Practice Training Tasmania chief executive Allyson Warrington said with aged care services currently stretched to the limit, the care and management of dementia patients often fell to GPs and nurses. “The program gives health professionals the tools and knowledge to confidently take on this responsibility and provide enhanced support to patients and their loved ones,” Ms Warrington said. Ms Warrington said the response to the program had been fantastic and feedback from participants cross Australia was very positive.